I'm a little late with this post because I've been so busy with everything going on here, but one of the highlights of this past month was having two of my very favorite people from home visit me here in Korea. I spent this 4th of July making my way to Incehon, where I met Nate and Jess and finally got to see them in person for the first time as an engaged couple. 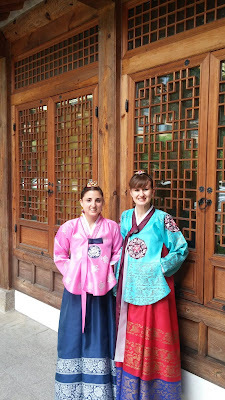 We spent the weekend in Seoul, where they surprised me with their ability to immediately get started with sightseeing. 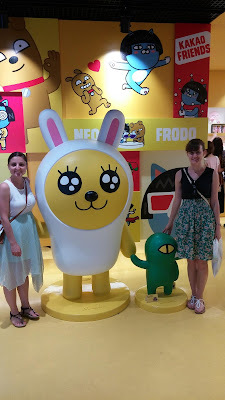 We were lucky that the weather was beautiful--warm, but not the oppressive Korean humidity that I was afraid of. All in all, we had perfect weather for sightseeing around Seoul. I love Gyeongbokgung! It made me sad to know this would be my last visit! Although the weather wasn't quite as nice for the rest of the week (lots and lots of rain! ), we were fortunate that my middle school had exams the week they were visiting. My co-teacher at that school asked the principal if I could stay with my friends since I wouldn't be teaching that day anyway, and he thankfully said yes. 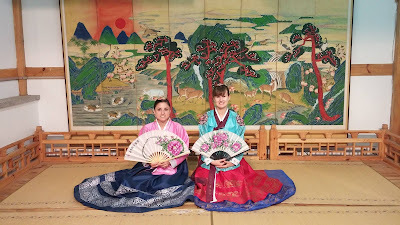 So, instead of sending Nate and Jess off on their own, I got to go with them to Andong. 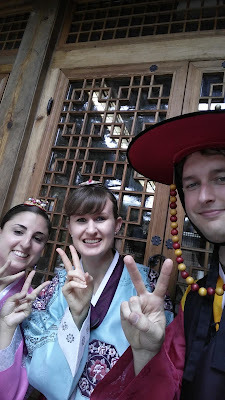 Our first stop was at Hahoe Village, then we made our way downtown for jjimdalk for lunch. Korea is so green in the summer! The rice is getting taller and taller! I loved these flowers! They were all over the place for a solid month. After lunch we stopped at this famous wood bridge. The fog on the lake was beautiful--a nice perk to the rainy day. 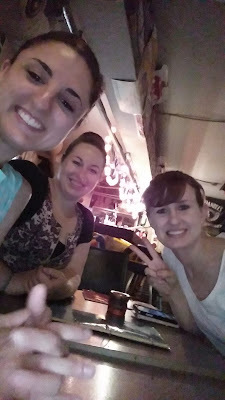 We found the perfect bar in Hongdae! On their last night in Korea, we ended our crazy busy day with a trip to Seoul tower. 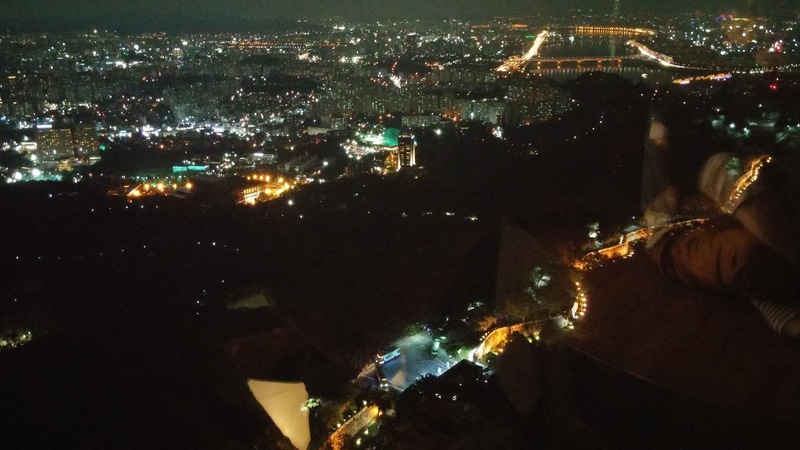 I've been to Seoul so many times that sometimes it's easy to forget just how huge the city is. By the end of the day, we were completely exhausted and even though we had done so much in a short amount of time, it was hard to believe their visit to Korea was already coming to an end! I'm so thankful that last year I was able to have Megan and Nate experience Korea, and I feel like I hit the jackpot getting to have two more friends come this year. Sometimes I feel like my life at home and my life in Korea are two different worlds, so I love that even for a brief amount of time my worlds were able to collide. So close to the end of my time in Korea, it was nice to see this country through a fresh set of eyes. You truly don't realize how much you adapt to things until someone new points out everything that is different and you think "oh yeah, I remember the first time I saw that." It was sad to say goodbye to Nate and Jess at the airport, but at leas this time I could say "see you soon!" 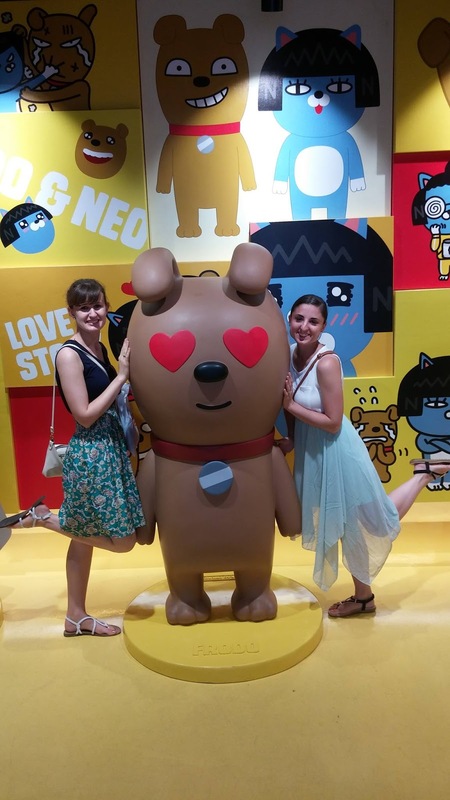 Knowing I have these great friends at home has been such a huge comfort in thinking about my post-Korea life, and I'm excited for all of the adventures I will have with them in the year ahead!